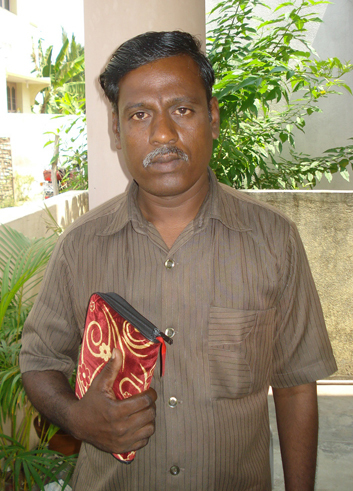 Immanuel was born into a Hindu family in an area that had no Christian presence. Countless generations of idol and spirit worship had created a dark and evil atmosphere in his home and village. One day, when Immanuel was still a youth, he somehow ended up attending a Christian meeting. He found himself very attracted to the meaningful songs that were sung there. It seemed that the songs gave him an inner peace. And so Immanuel began attending the meetings regularly. He also heard the Bible read aloud at the meetings. This fostered a desire to read God’s Word himself. As he continued to listen and study he began to understand creation, the fall of man, redemption in Jesus, the seal of God, and healthful living. He accepted Jesus and was baptized into the Seventh-day Adventist Church. Then the persecution began. As soon as the word got out that Immanuel had accepted Jesus as his Lord and God, he was captured and beaten by a group of Hindu people called the RSS, aided by neighbors from his own village and family. He was beaten nearly to death and thrown into the bushes in the forest outside the village. A passerby heard his gasping breaths and immediately found help and took him to a hospital. At the hospital they discovered that he had many broken bones and internal injuries. Healing took a long time, but eventually he regained his strength. Because he had become a Christian, the whole village and his people didn’t want him to come back so they said they would kill him if he ever returned. But Immanuel was not discouraged, for as Jesus once advised, “But watch out for yourselves, for they will deliver you up to councils, and you will be beaten in the synagogues. You will be brought before rulers and kings for My sake, for a testimony to them. And the gospel must first be preached to all the nations. But when they arrest you and deliver you up, do not worry beforehand, or premeditate what you will speak. But whatever is given you in that hour, speak that; for it is not you who speak, but the Holy Spirit. Now brother will betray brother to death, and a father his child; and children will rise up against parents and cause them to be put to death. And you will be hated by all for My name’s sake. But he who endures to the end shall be saved.” Mark 13:9-13. Today Immanuel is a Bible worker for Healing Leaves. Bravely, he has returned to his village! God has sent His Spirit and His angels to work with Immanuel and now, miraculously, the very people who beat him are now listening to his teachings as he visits his village and his people. India’s population is now equal to or greater than that of China. Untold millions of people live there in ignorance of the beautiful gospel that you and I love so much. Bible workers are a very important part of our work of spreading the gospel. Healing Leaves employs full-time Bible workers in India and the Dominican Republic. These workers are the most important element of our work. Without them, we wouldn’t be nearly as successful as we have been. Every day they visit homes or teach in public venues, presenting truth to hungry souls. Healing Leaves has found that if we want quality workers we must generally train them ourselves. In India, we have opened our own training school. We provide them with their initial training and then, every three months, we have continuing education and refresher courses at our center. Each session has a larger number of participants because pastors in the country are requesting to join the event so they can learn more. In our latest training effort there were four of us who were involved in presenting the messages—one onsite and the other three of us joined in via Skype. We gave them presentations on how to choose good music for worship services, how to properly keep the Sabbath, and how to deal with jewelry among the members and converts. We had observed that many of the members and pastors did not have a proper understanding of these topics. We want our workers to be thoroughly trained so that they don’t do any damage in the vineyard. Bible workers going door to door blessing the people and sharing the health message and the gospel. Our workers recently held meetings on the edge of a small city that was having a festival that promoted homosexuality as part of their religion. Many people in India think that gay and transgender people possess magical powers. Our workers held meetings on the hillside to draw the children away from this event. It was a huge success. We train all of our workers in health and hygiene so that they can use this as an entrance into homes that they encounter. They go from door to door with this message and are able to reach and bless the people in a real tangible way. Our workers even have had invitations to give presentations in the public schools and are able to make many relationship bridges that way. We are seeing a rich harvest of people from other Christian faiths, but the majority is coming from Hindu homes, and recently even three families have left the Islamic religion to rejoice in the hope of the soon coming of Jesus! Please keep Healing Leaves in your prayers and consider joining this service of training and supporting this important work. We currently cannot fulfill the demand for Bible workers. 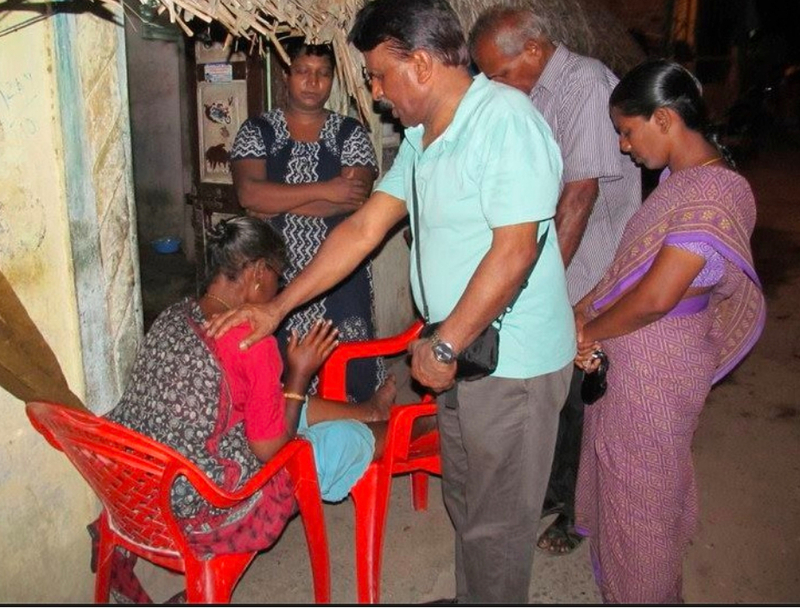 There are thousands of villages in India that have never heard the gospel of salvation. Without all of us helping out, they never will. You can support a Bible worker for only $120 per month. We currently need sponsors for ten Bible workers. As the calls come in, it will soon be twenty. The doors are opening rapidly in India. “Multitudes will be called to a wider ministry. The whole world is opening to the gospel. Ethiopia is stretching out her hands unto God. From Japan and China and India, from the still-darkened lands of our own continent, from every quarter of this world of ours, comes the cry of sin-stricken hearts for a knowledge of the God of love. Millions upon millions have never so much as heard of God or of His love revealed in Christ. It is their right to receive this knowledge. They have an equal claim with us in the Saviour’s mercy. And it rests with us who have received the knowledge, with our children to whom we may impart it, to answer their cry. To every household and every school, to every parent, teacher, and child upon whom has shone the light of the gospel, comes at this crisis the question put to Esther the queen at that momentous crisis in Israel’s history, ‘Who knoweth whether thou art come to the kingdom for such a time as this?’” Education, 262-263. By Rob McClintock. Healing Leaves Ministry, PO Box 1329, Priest River, ID, 83856. Telephone: 877 691-5845. Website: www.healingleaves.org. Email: director@healingleaves.org.